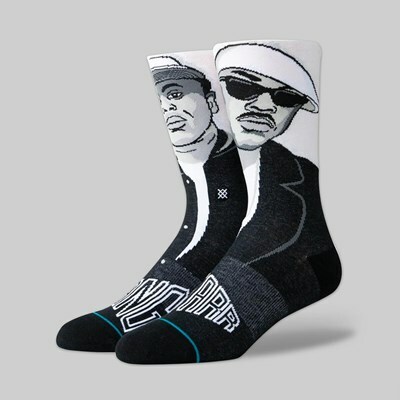 Stance's SS17 collection is packed with more of the usual - high quality, performance-oriented socks, with prints and colours better than they've ever been. 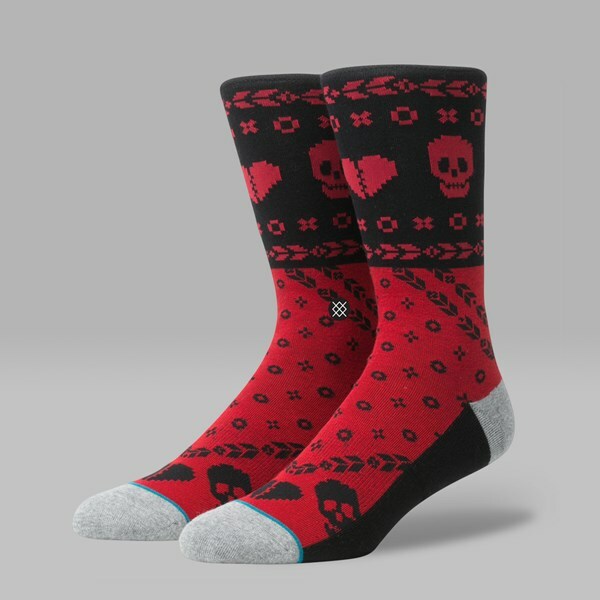 One of the more vivid of the new arrivals are the Heart Bandit socks, which come in Red. 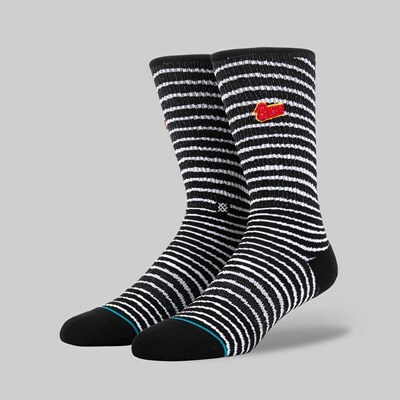 Created with an athletic ribbed construction, the socks are incredibly high in quality and remarkably comfortable. Terry loop fabric features in the forefoot, heel and toe area for improved cushioning without adding too much bulkiness, and the heel and toe are reinforced to improve durability. 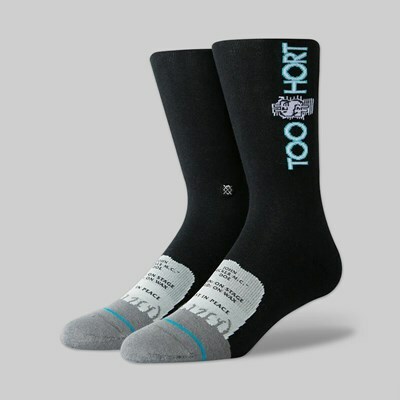 Arch support has been included to enhance comfort for more people even further, and the seamless toe closure reduces the chances of you putting holes in the socks quickly. 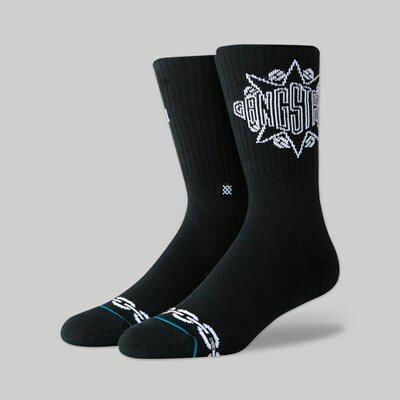 The socks also feature Stance's Deathless Thread, designed for improved durability and comfort, and added padding on the shin and achilles to protect you against harsh impacts. 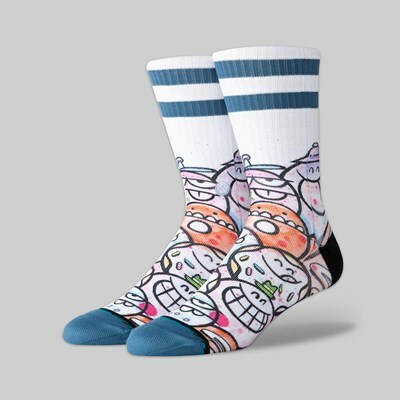 The socks are Valentine's-inspired, representing that guy that prefers being with his friends than his GF, forgets the big occasions and what not. 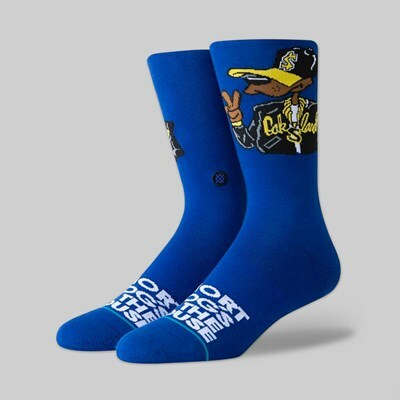 If that sounds like you, then you've found your dream socks.